The building blocks that define Talent2Strength and Positive Leadership originate in the field of Positive Psychology. There is a focus on finding the common understanding of the “positive” aspect in Positive Psychology. The field of psychology has three missions: 1) Cure mental illness 2) Make the lives of all people more productive and fulfilling 3) Identify and nurture talent. In the past, after World War II, there was a shift toward a concentrated focus on treating mental illness that while absolutely important, detracted somewhat from the missions of making people’s lives better and fostering human talents. This primary focus on mental illness persisted over the next 50 years with occasional advances in the second and third missions (Seligman and Csikszentmihalyi, January 2000). In 1998, a challenge was issued by the president of the American Psychological Association (APA), Martin Seligman and a group of his colleagues. Seligman’s speech to the APA asked psychologists to “turn toward understanding and building the human strengths to complement our emphasis on healing damage.” They coined the term “positive psychology” to describe this renewed direction. Positive psychologists focused their attention, not to the questions of “what could go wrong with people and how can we fix them?” but instead to the questions of “what could be right with people and how can we teach people to have more of it?” By looking at healthy individuals, they believed people could learn how to live more productive and fulfilling lives and to nurture their individual talents. Psychology, they asserted, holds valuable insights for how to live a meaningful life, and this new branch, known as positive psychology, seeks to make the insights available to everyone. In 1999 the first college course on positive psychology was taught at Harvard with 20 students enrolled. In 2006 the course grew to 856, the most popular course in the Harvard catalogue. 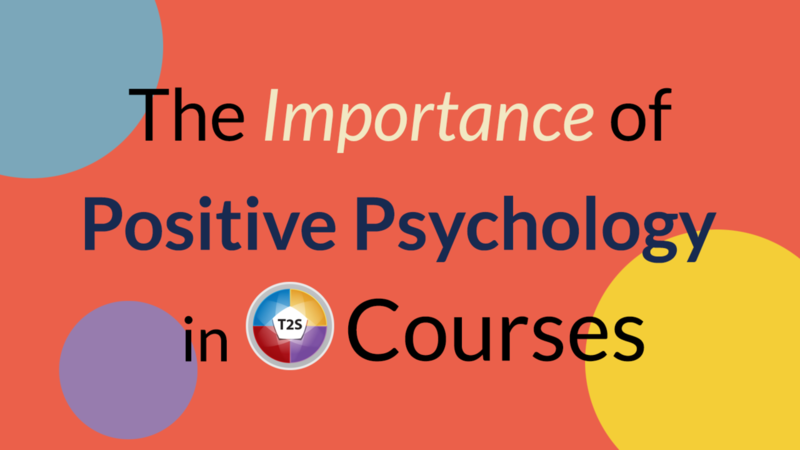 In addition, positive psychology courses are now taught at over 200 college campuses. Research in positive psychology is fueled by a $1000 scholarship awarded by the Templeton Foundation to all Ph.D. candidates that focus their dissertation on positive psychology. The Gallup Institute awards the Clifton Prize, along with $250,000, to the best researcher in positive psychology every year. The covers of Time Magazine and The Economist featured positive psychology. Stories have appeared on CNN, CBS and National Public Radio. In 2009, the International Positive Psychology Association (IPPA) was formed to “promote the science and practice of positive psychology and facilitate communication and collaboration among researchers and practitioners around the world who are interested in positive psychology.” They have thousands of members from over 70 countries already, and growing. You can learn a great deal more about positive psychology from books like Seligman’s Authentic Happiness, Haidt’s Happiness Hypothesis and Lyubomirsky’s The How of Happiness— just three of the leading titles amid a throng of books on positive psychology. While “happiness” serves as a handle, the topics explored delve deeper into the overall topic of individual and collective well-being. For now, there are some critical features of positive psychology that set the stage for our continued discussion of Talent2Strength and Positive Leadership.